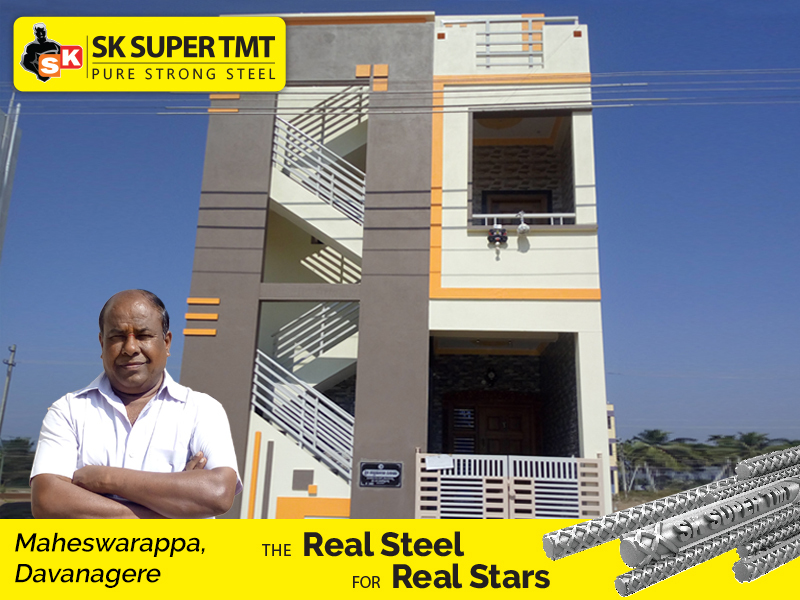 SK Super TMT the structural engineers first choice for the best quality TMT construction steel in Karnataka. 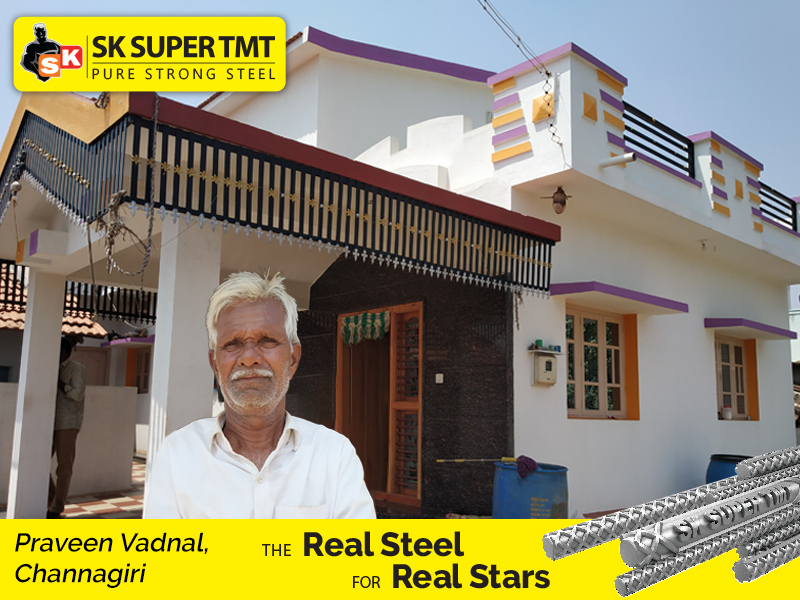 The foundation of this quality TMT Steel was laid down in the year 1987, by Shri. 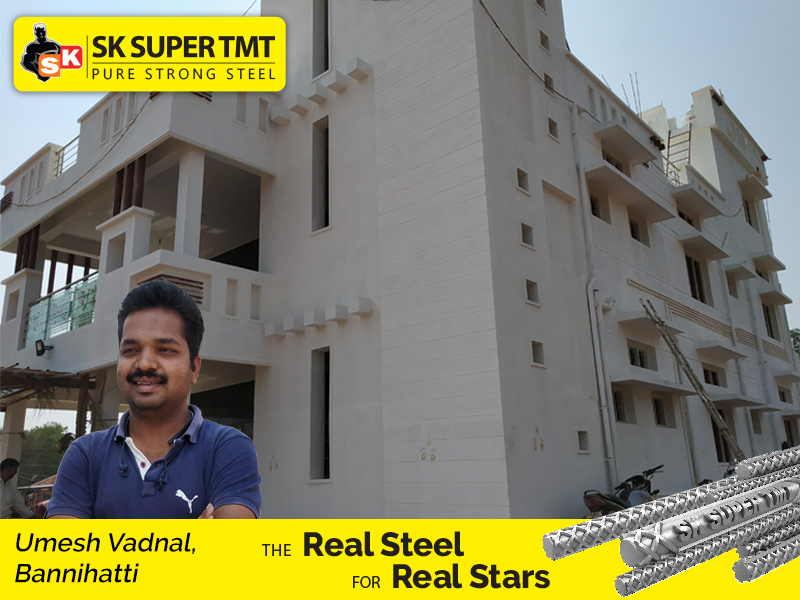 S. Kulandaisamy along with a team of dedicated professionals, with a vision and commitment to provide the utmost quality products that meets the requirements of structural engineers varied needs of construction. 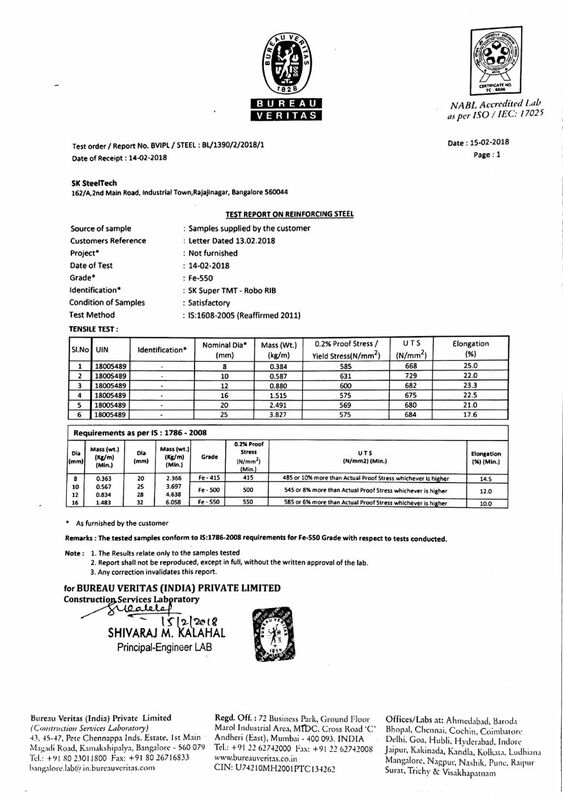 The journey of SK Super TMT started with the establishment of its melting division to manufacture high quality ISI graded steel billets with perfect chemical composition and supply to various steel Re-Rolling industries. After establishing itself in the industry as a trusted brand and manufacturer of pure billets for over two decades, the group set foot into manufacturing TMT as part of their backward integration plan. 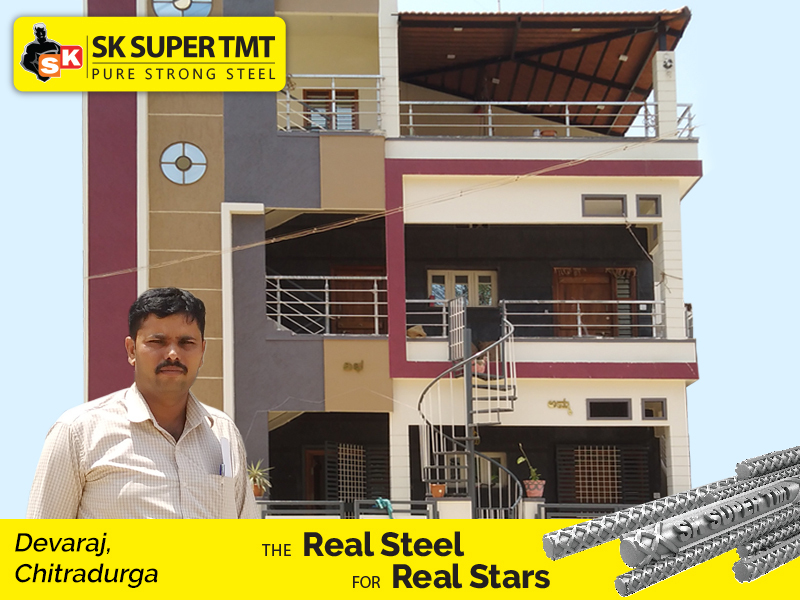 With quality control from the source of raw material, SK Super TMT became the most preferred choice of structural engineers. 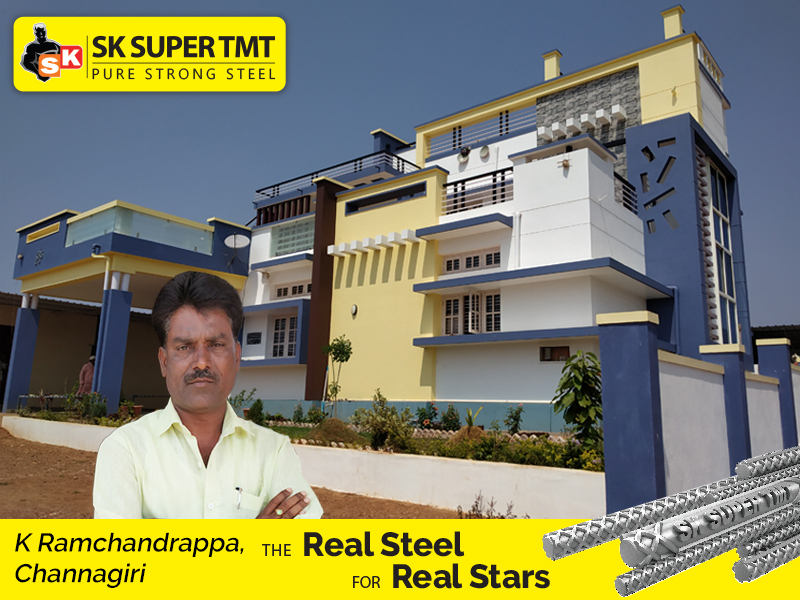 Today as part of part of technology upgrading, SK Super TMT introduced Integrated Rolling Technology, a revolutionary and eco-friendly technology for manufacturing high quality TMT steel to meet the quality requirements of the structural engineers in the Karnataka. INTERGRATED ROLLING TECHNOLOGY is the world renowned technology for manufacturing steel. 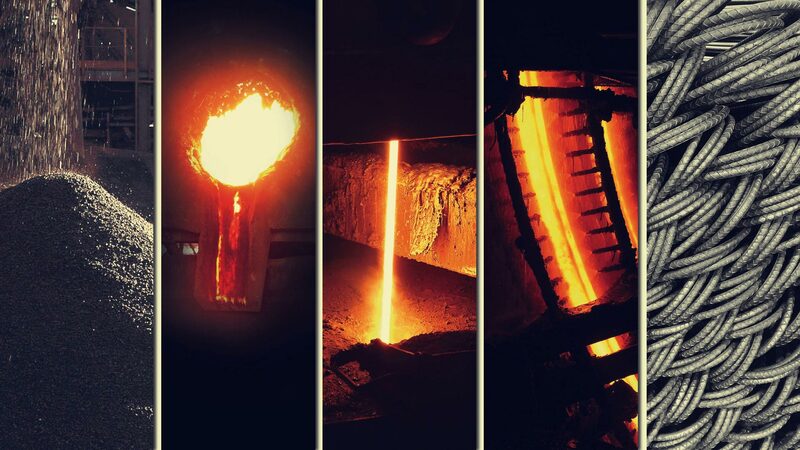 The TMT manufactured using this process, with utmost quality control, makes the product PURE – as it is manufactured using Iron ore, PERFECT in chemical properties as it is manufactured in a one single pass without any heat loss and PRECISE in terms of its physical properties which is achieved due to quality control. 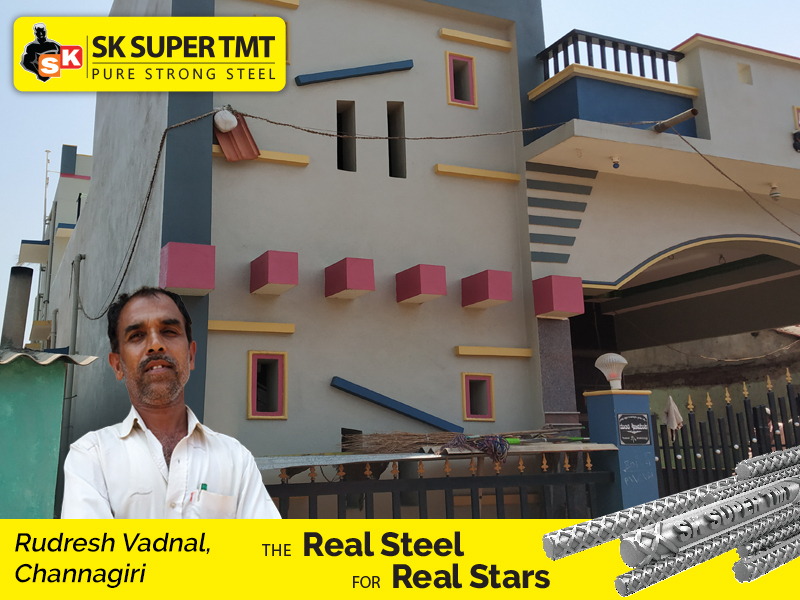 Green Steel - SK Super TMT is manufactured using Integrated Rolling technology through single pass which reduces 50% in heating as there is no re-heating process. Thus reducing the carbon emission by 50% compared to other process of manufacturing TMT steel. 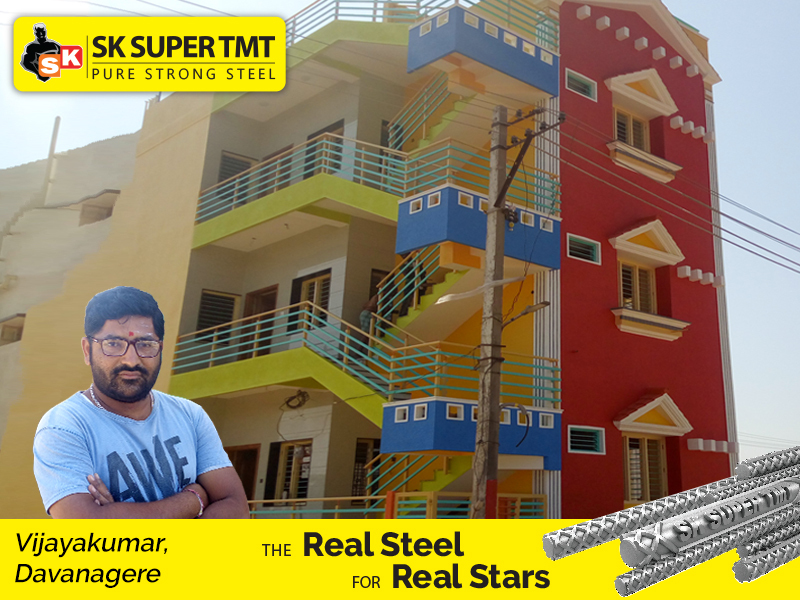 With the World Class Infrastructure and focus on at most quality control, SK Super TMT is Synonymous with the highest quality standards in manufacturing; With a thorough knowledge of the product and continuous efforts in research and development, we have redefined the technology of manufacturing steel with respect to quality, strength and purity. Thus SK Super TMT provides to its customers, reliable and technologically superior products that have raised industry benchmarks. With 550 newtons / millimetre square, a high strength in steel is offered for better load bearing capacity and higher savings. SK Super TMT’s patented robo-rib pattern, ensures highest AR values, maximum bonding with concrete. The single most important factor which determines safety of building construction. The elongation after yield strength and before ultimate tensile strength phase is 18% min. The Ideal combination of strength and flexibility offers the safest plan against Earthquakes, UTS:YS ratio is more than 1.15 min. 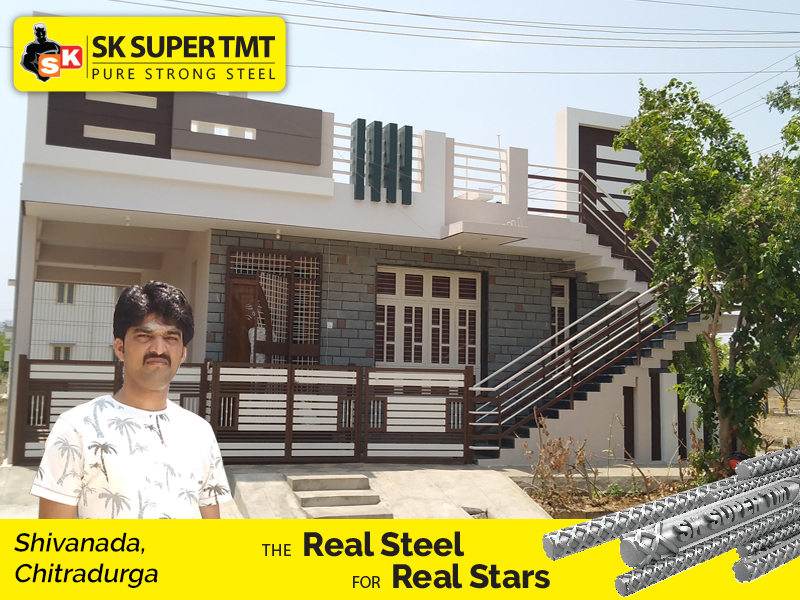 With State-of-the-art manufacturing facility providing superior technical advantage, the CNC machine and Robo arms providing the process advantage and the online continuous monitoring providing the product advantage, it obviously makes SK Super TMT the most proffered choice of the structural engineers for Infrastructure, Projects or to build a beautiful home. 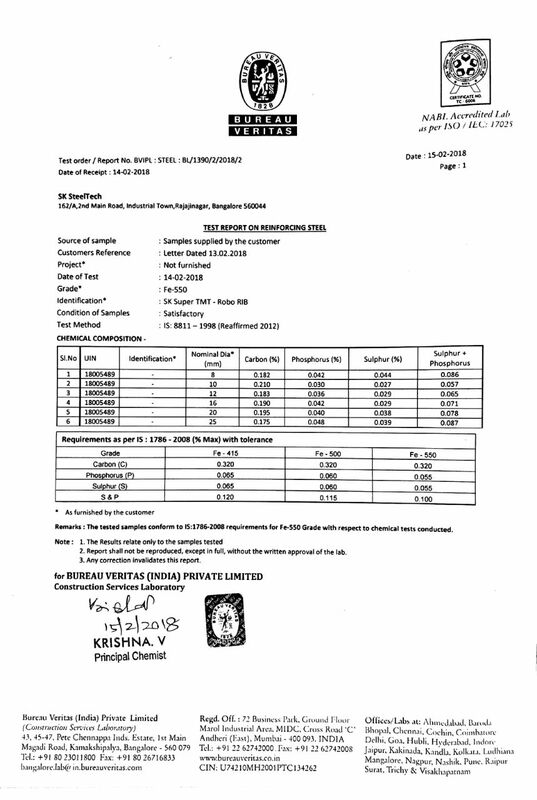 The online continuous monitoring facilitates in maintaining carbon levels much lower than the ISI specification that results in excellent ductility, high bendability, better corrosion resistance and superior weldability. The superior technology ensures excellent dimensional tolerance and very good surface finish. The 4-stage endurance process is the result of a real-time chemical analysis and elimination of impurities that makes the TMT bars corrosion resistant. 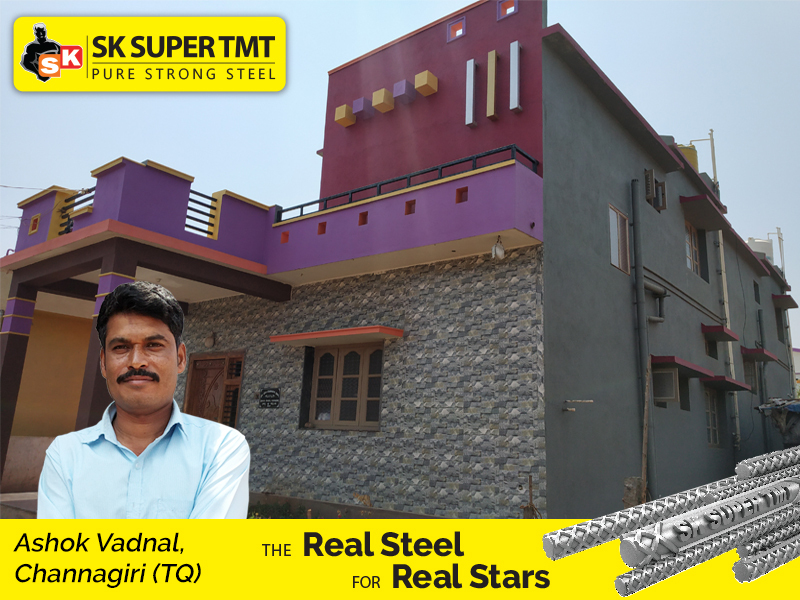 With a team of technical expertise in the field of construction and in its endeavor to provide the best service to the consumers, SK Super TMT has extended its technical support and technical assistance to the all its consumers at no cost. So explore our expert knowledge and in case you need further assistance, feel free to write to our experts who will reply to all your queries. Join us and be a Real Star to your family or to your customers or your clients. 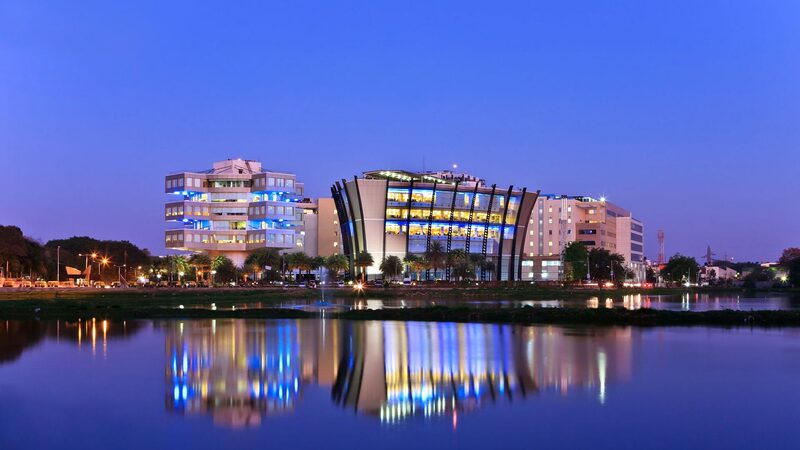 SK Super TMT request you to register to participate in various construction practices programs, technical assistance, skill development programs, promotional scheme and reinforcement technology updates through our monthly newsletters or to partner with us. If you want to enquire about our product or service or any other assistance required, please enter the form below and we will get in touch with you at the earliest.